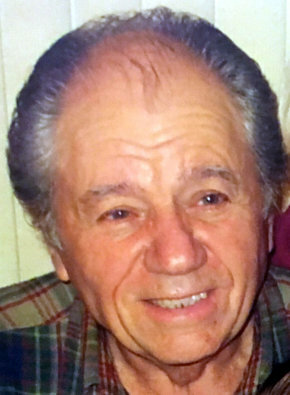 Vassilios Georgiou, 80, of Fair Lawn, NJ passed away on Friday, April 27, 2018 at home surrounded by his loving family. Born and raised in Fournoi, Argolidos, Greece, he immigrated to the U.S. in 1969 and resided in Washington Heights, NY before moving to Fair Lawn in 1982. He was a faithful parishioner of St. Nicholas Greek Orthodox Church in Wyckoff. An avid gardener and handy man who loved all things Greek, Vassilios enjoyed wine making, cooking but especially spending time with family who he loved immensely. Prior to retiring, he was a self-employed painter / wall paper hanger for many years. Beloved husband of Hrisoula (Anastasopoulou) Georgiou. Loving and devoted father of Paraskevi Georgiou and Agapi Georgiou Schmarge. Cherished grandfather of Vassilios, Christos and Daphne. Dearest brother of one sister and two brothers in Greece and three predeceased brothers. The family will receive relatives and friends Monday, April 30, 2018, 5-9 pm at Vander Plaat-Caggiano Funeral Home, 13-31 Saddle River Road, Fair Lawn, NJ. A funeral service is planned for Tuesday, May 1, 2018, 10:30 am at St. Nicholas Greek Orthodox Church, 467 Grandview Avenue, Wyckoff, NJ 07481. Interment will follow at George Washington Memorial Park in Paramus. There will be visitation in church from 10 -10:30 am prior to the service. In lieu of flowers, donations in memory of Vassilios to St. Nicholas Greek Orthodox Church would be appreciated.